Nick Field's 'Thor' the current spark length record holder. 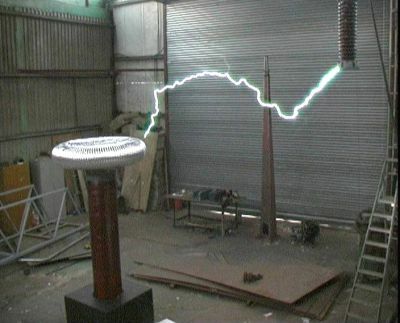 The TCBOUK is a diverse group of individuals sharing a common interest in Tesla coils, and other high voltage and high energy devices. To subscribe to the TCBOUK email list send mail to tcbouklist-subscribe@yahoogroups.com. buy and sell components and show off their latest creations. Details of past and future Events.